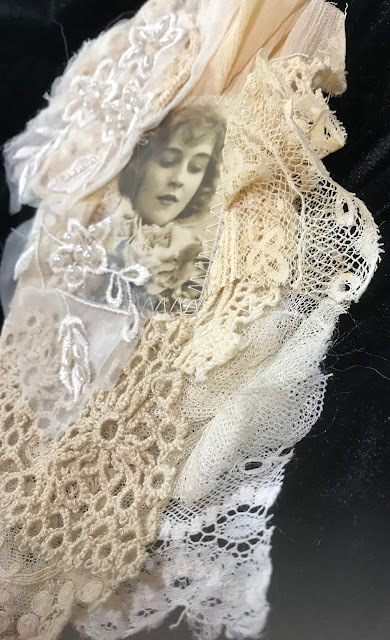 Good morning friends.... my husband has been in the hospital for a few days now, so there's long hours of just sitting, waiting for another test or procedure. 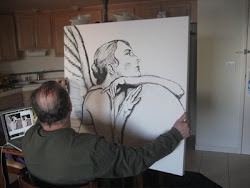 He's on the mend, thank goodness. So here is how I kept busy yesterday. 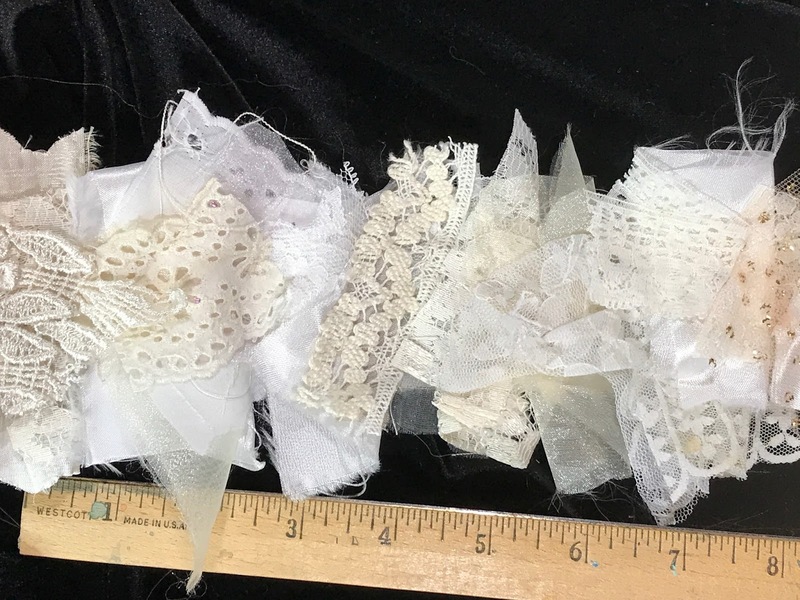 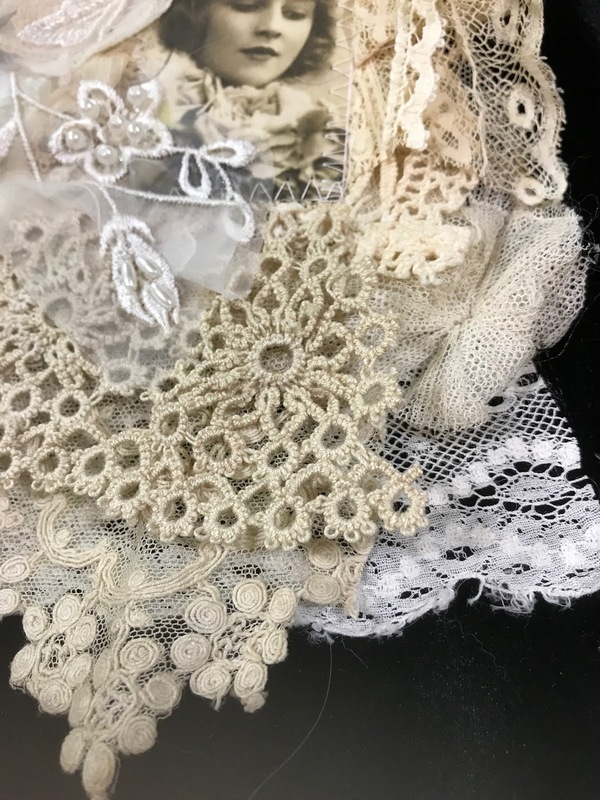 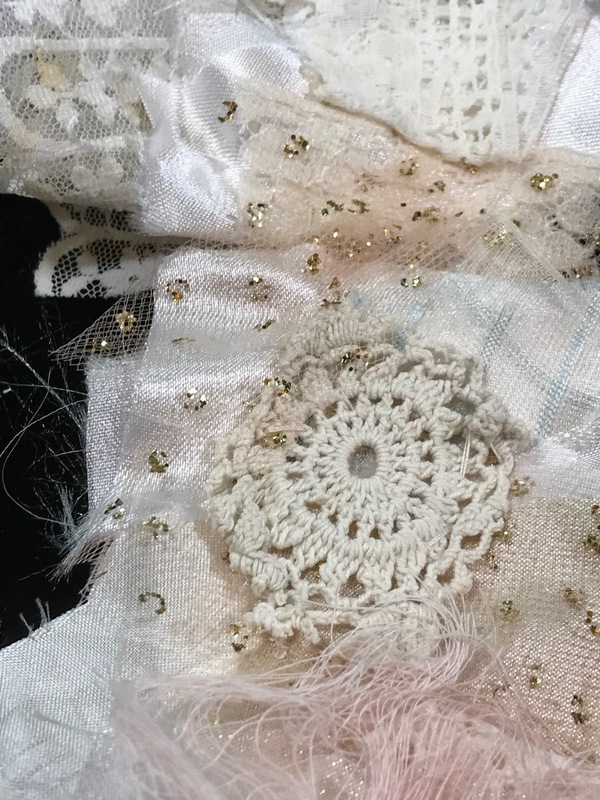 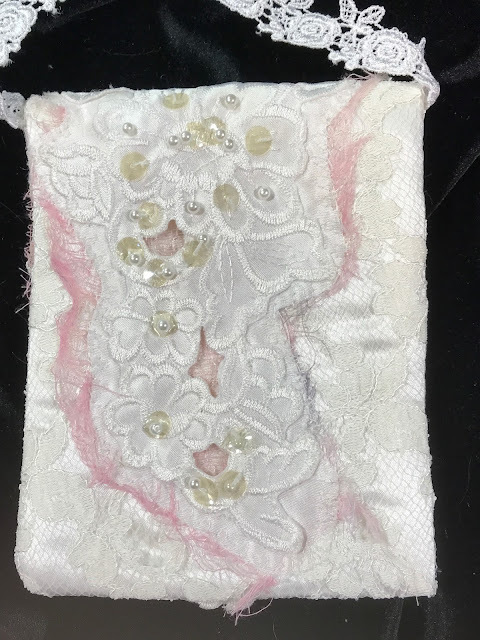 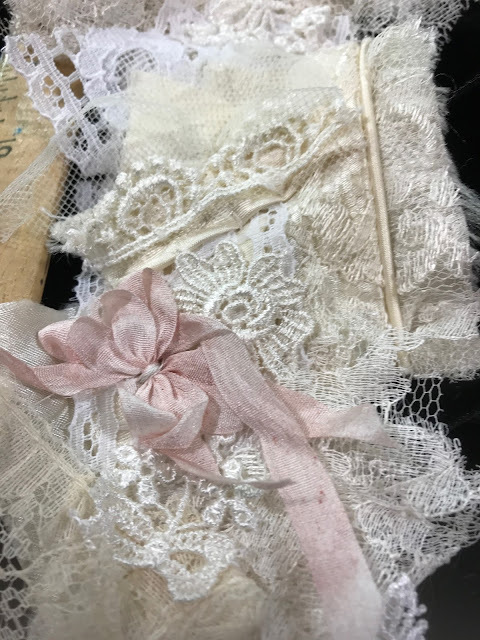 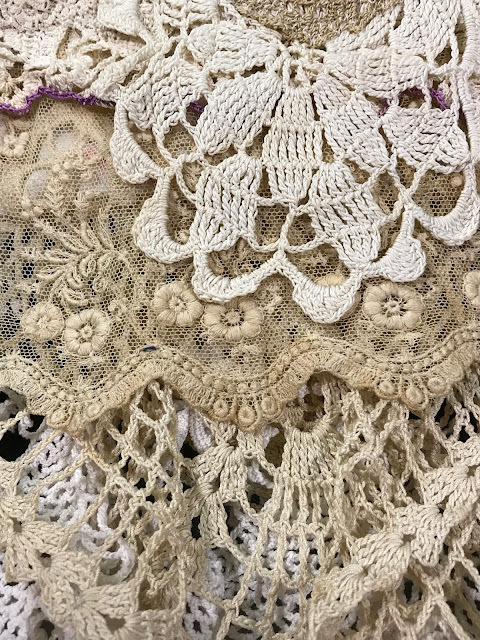 These were all made with beautiful, antique or vintage laces. 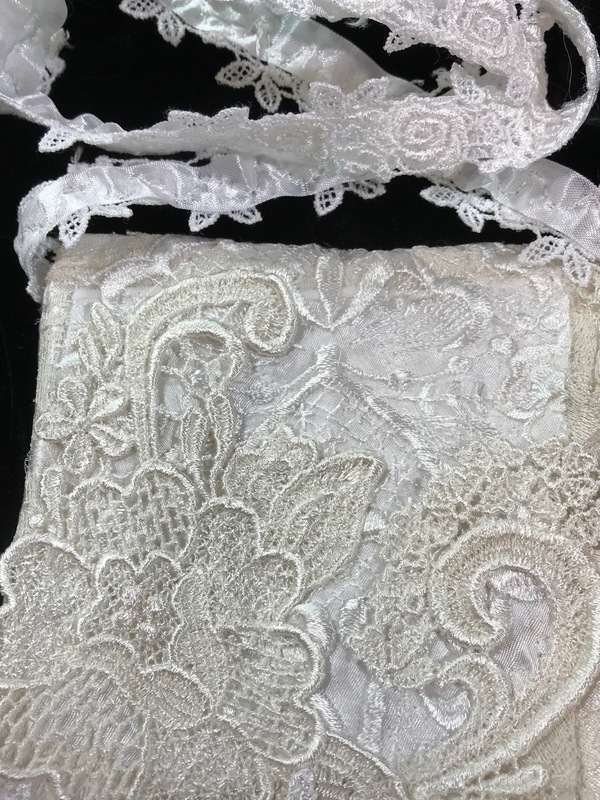 Plus a little addition of shiny Venise lace. 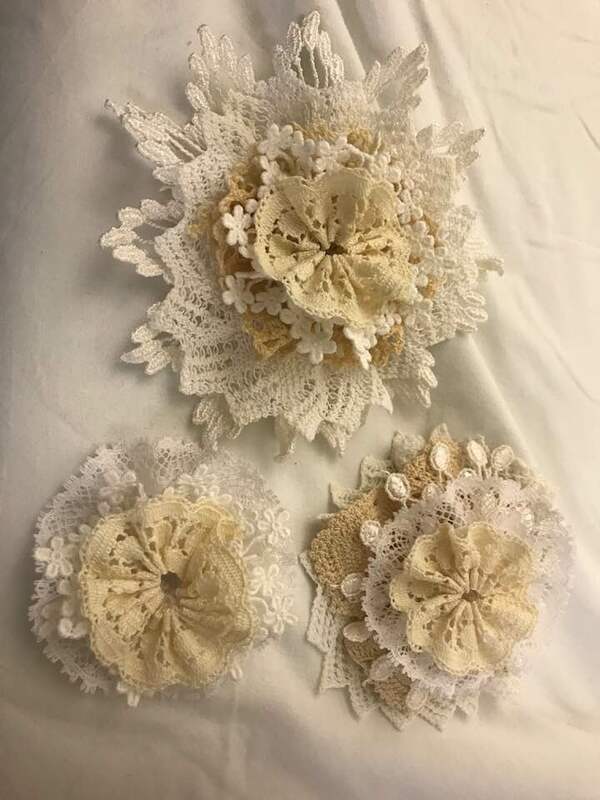 I'll probably list these in my Etsy shop eventually. 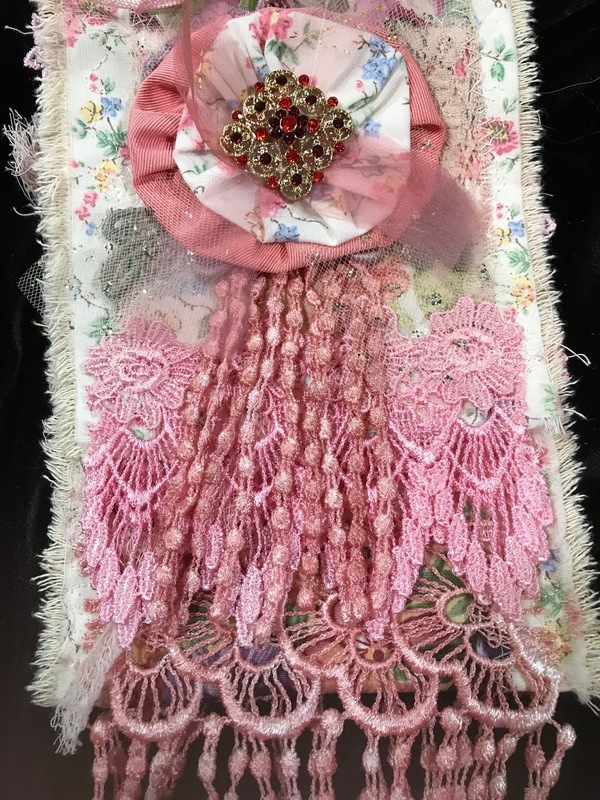 Sweet blessings and thanks for your positive thoughts and prayers. 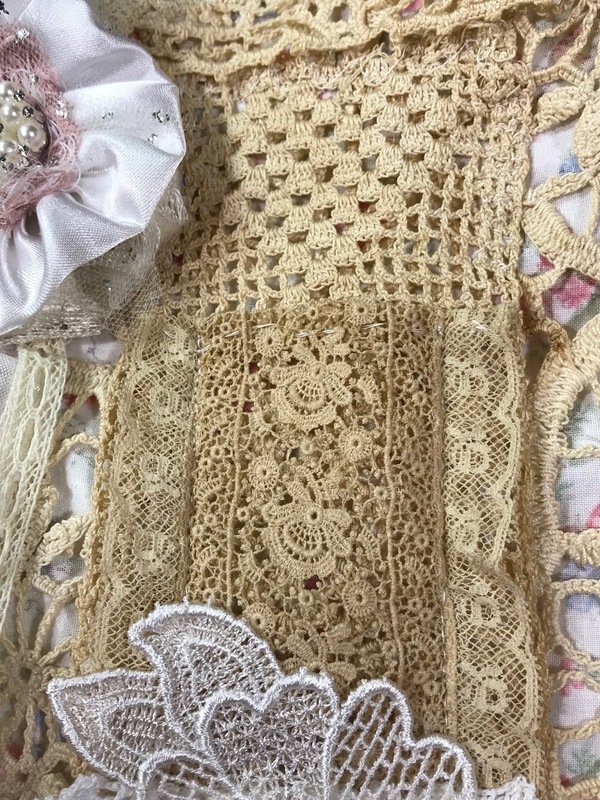 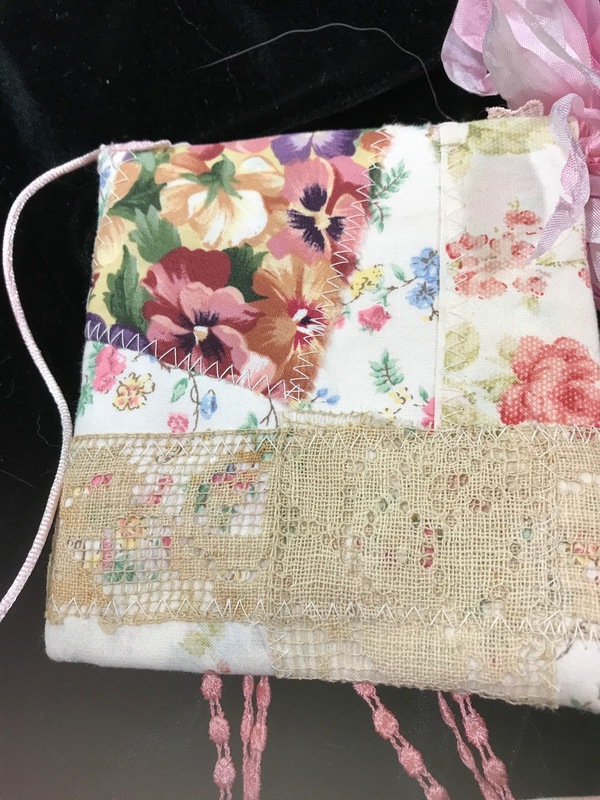 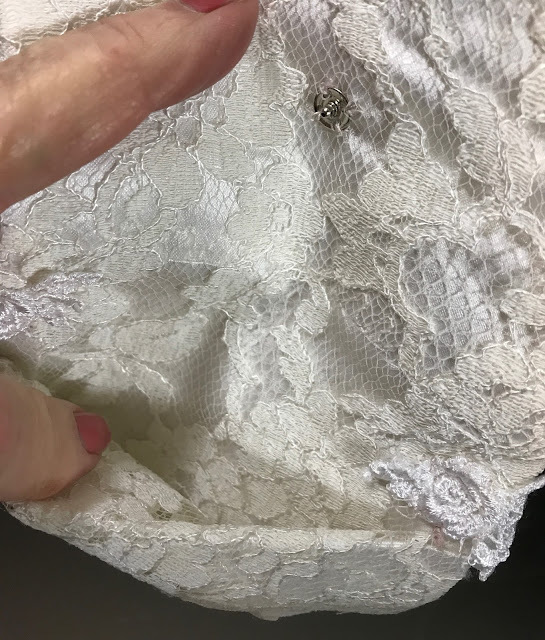 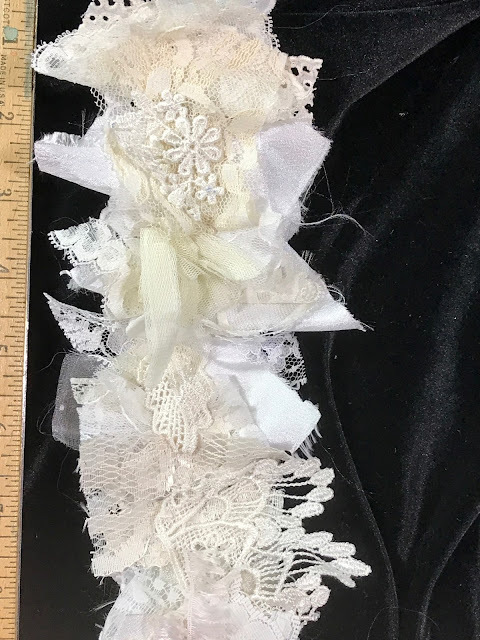 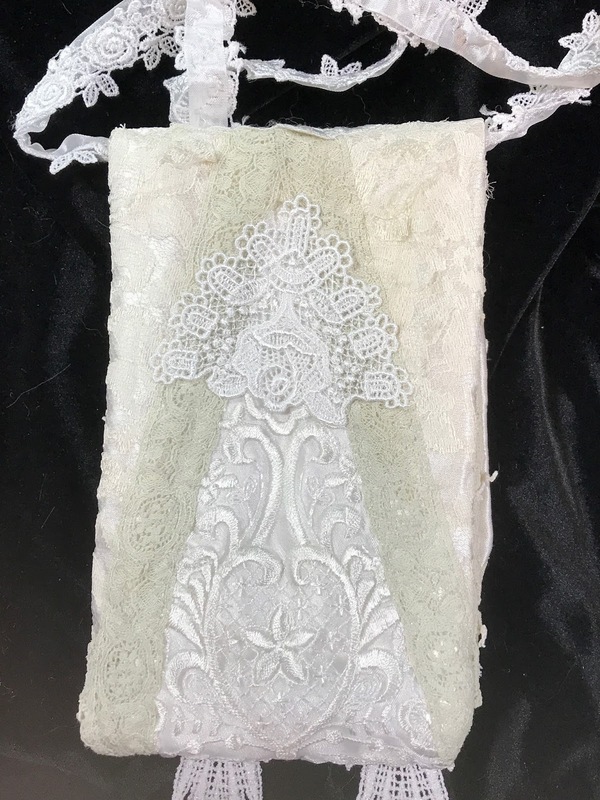 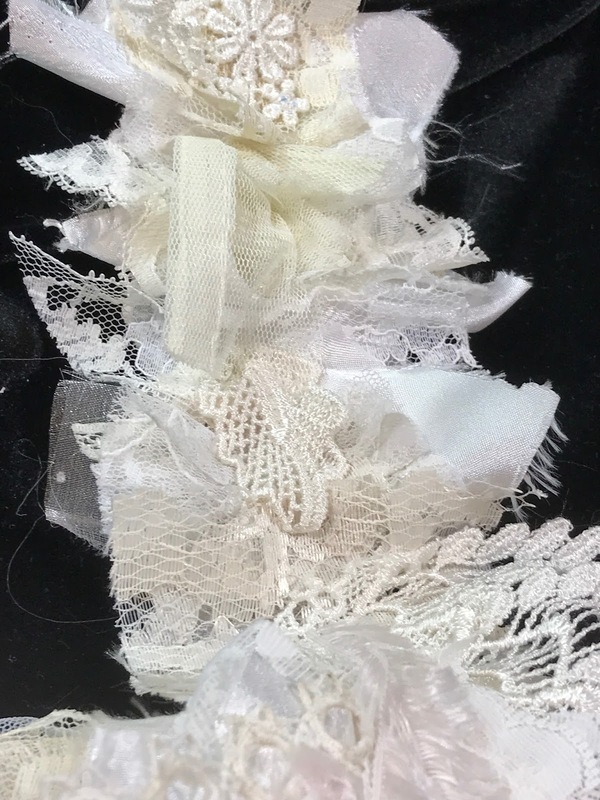 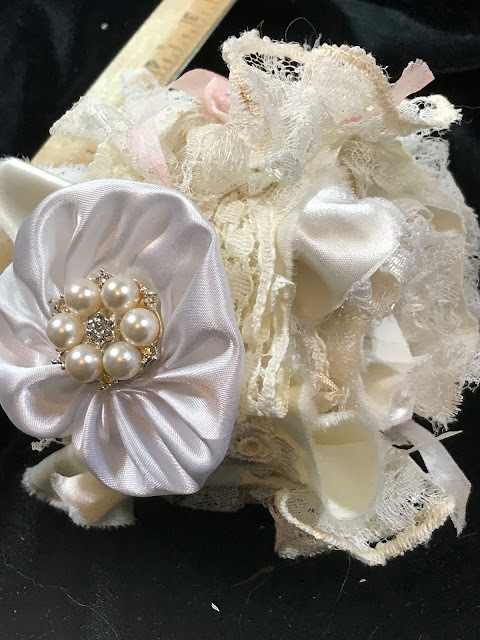 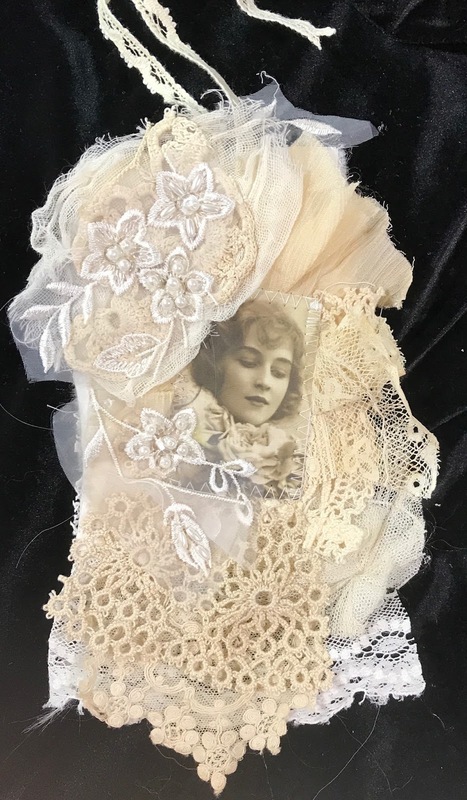 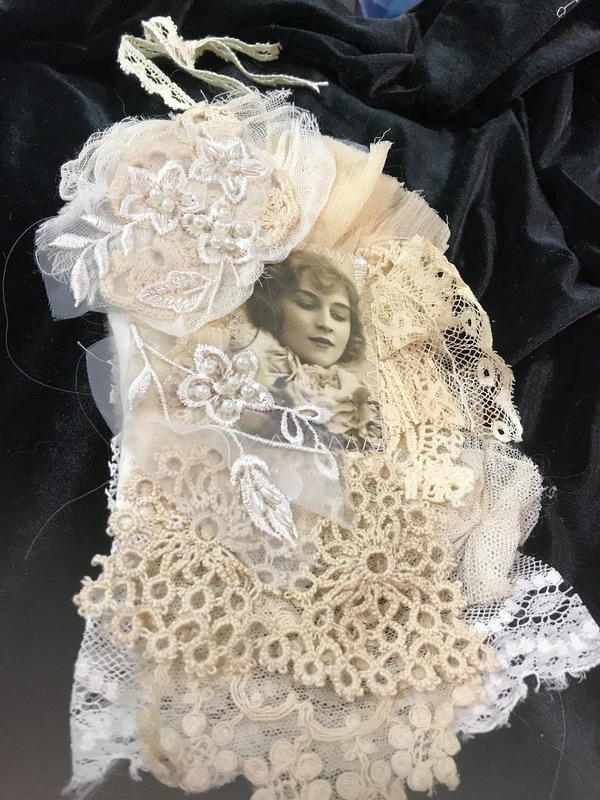 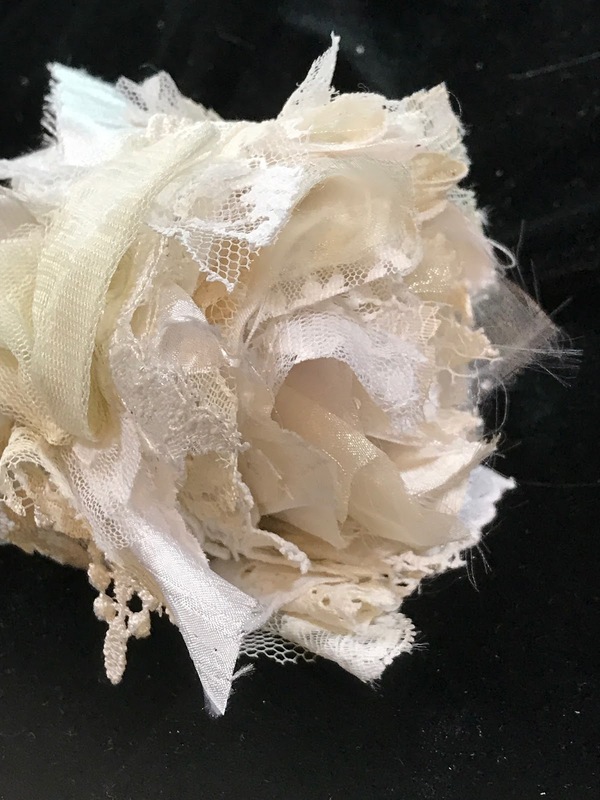 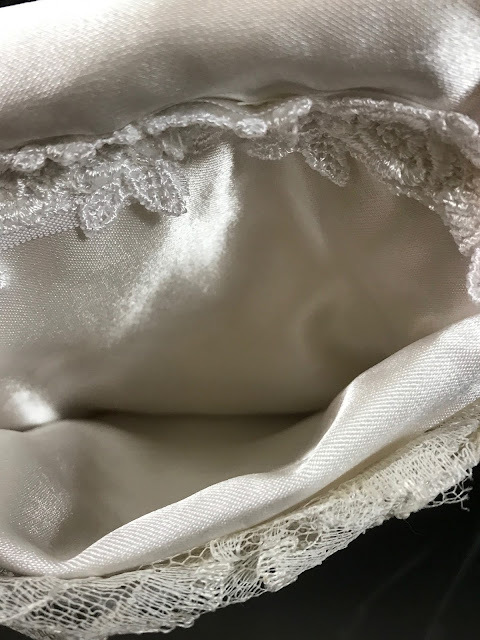 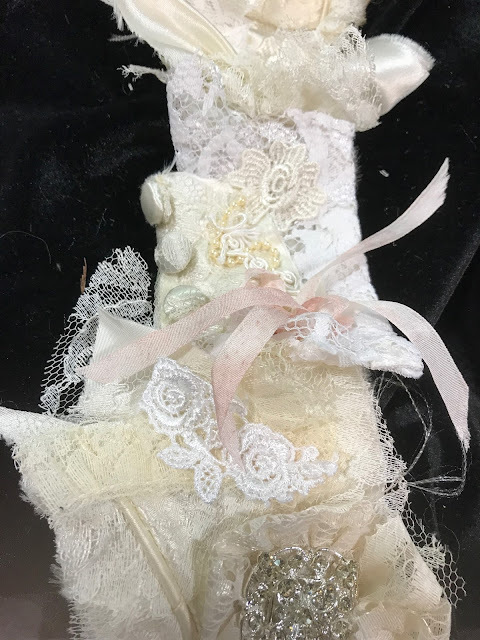 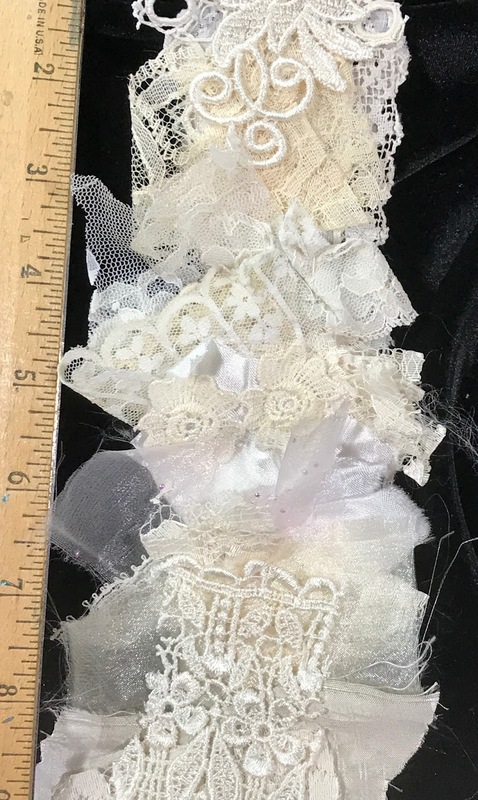 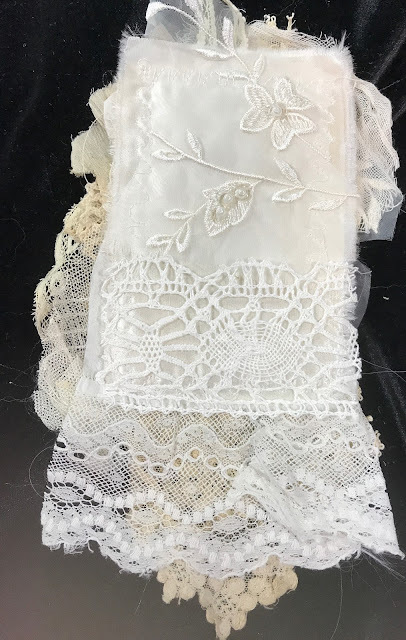 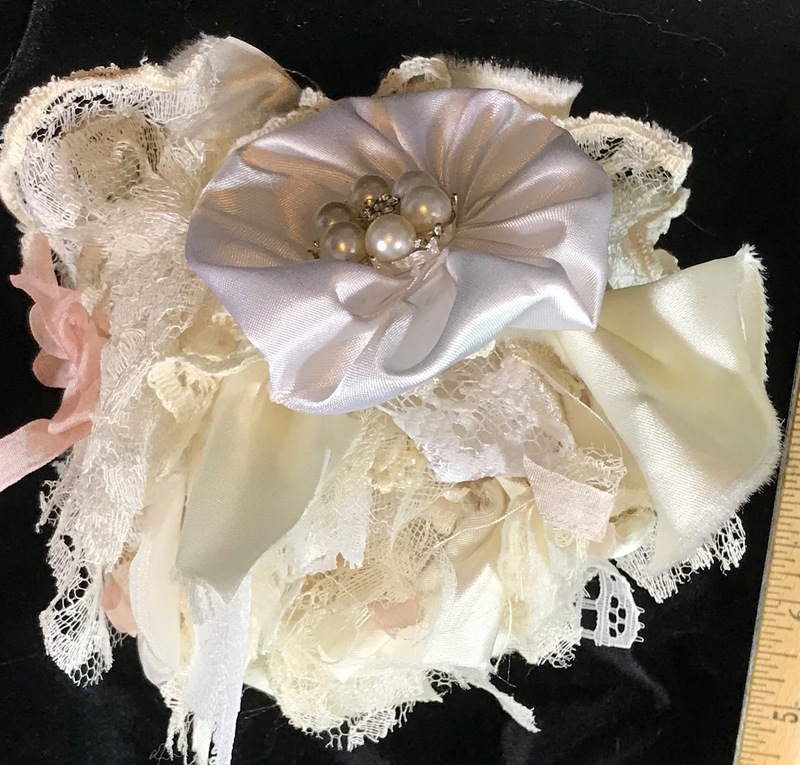 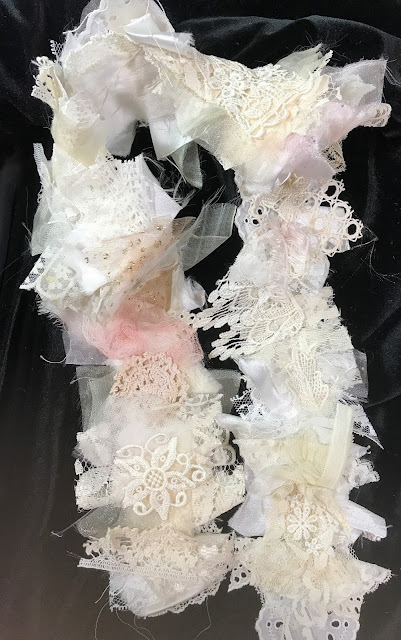 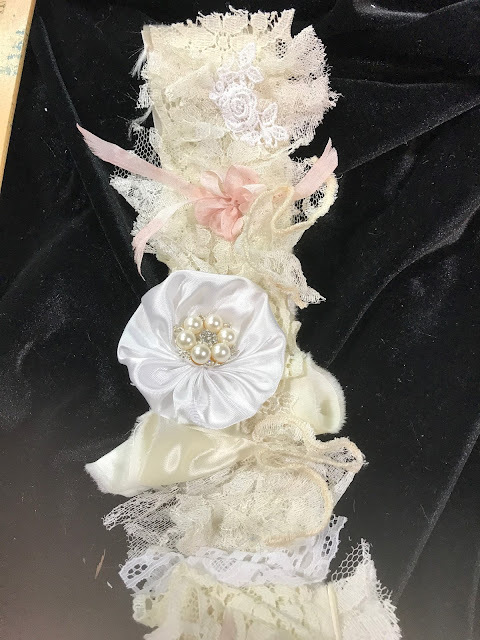 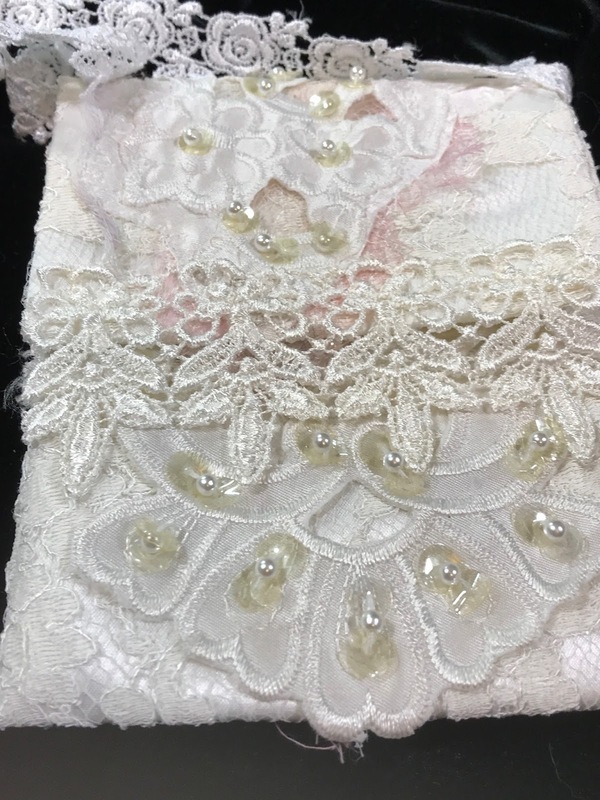 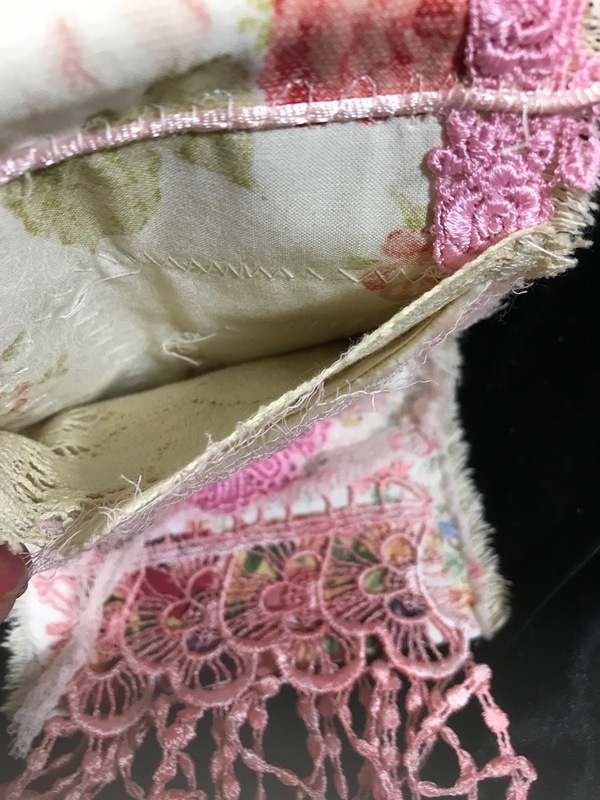 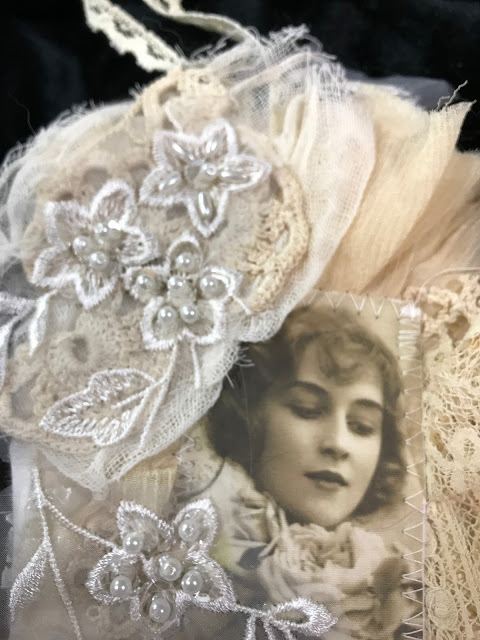 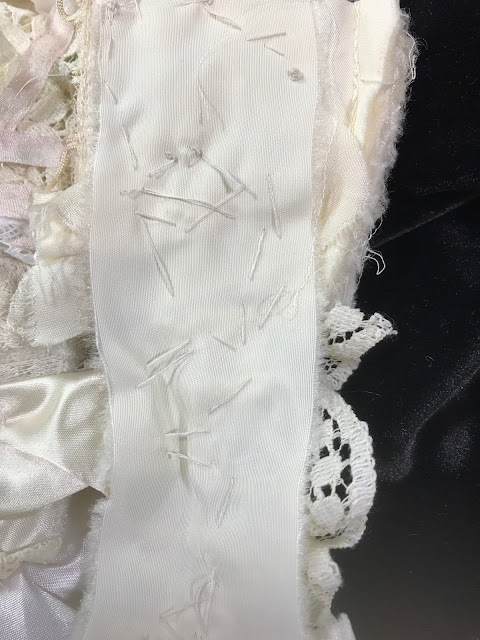 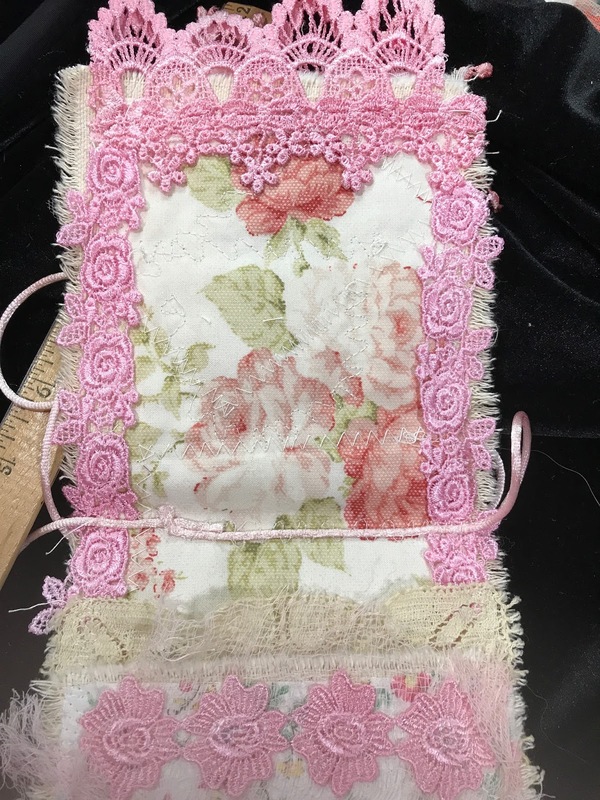 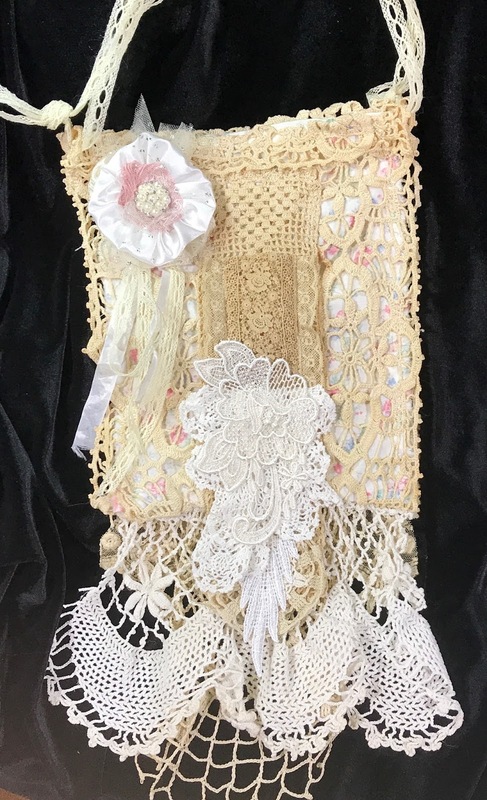 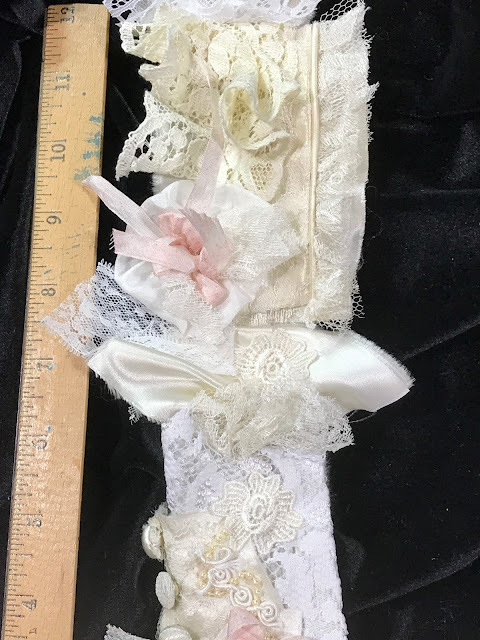 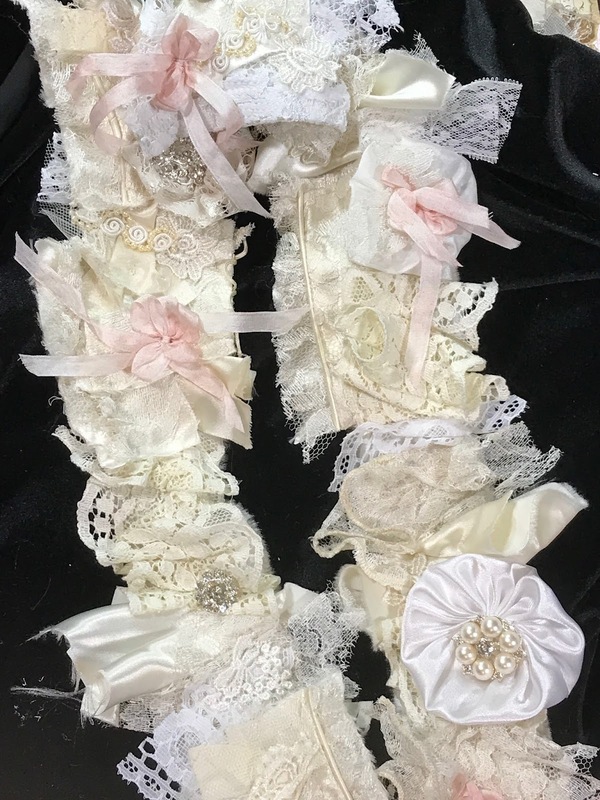 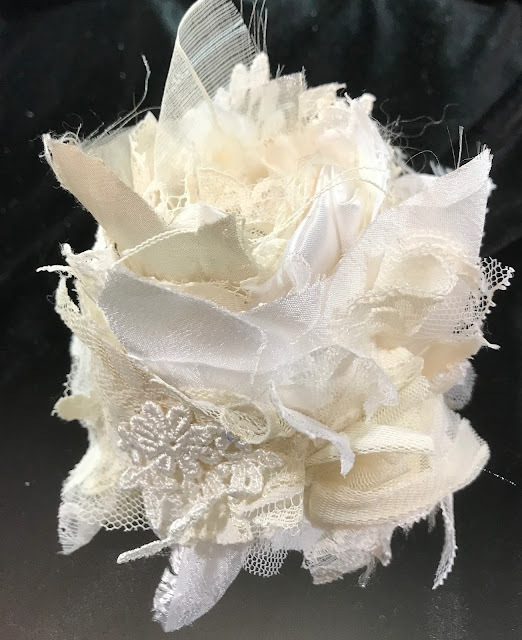 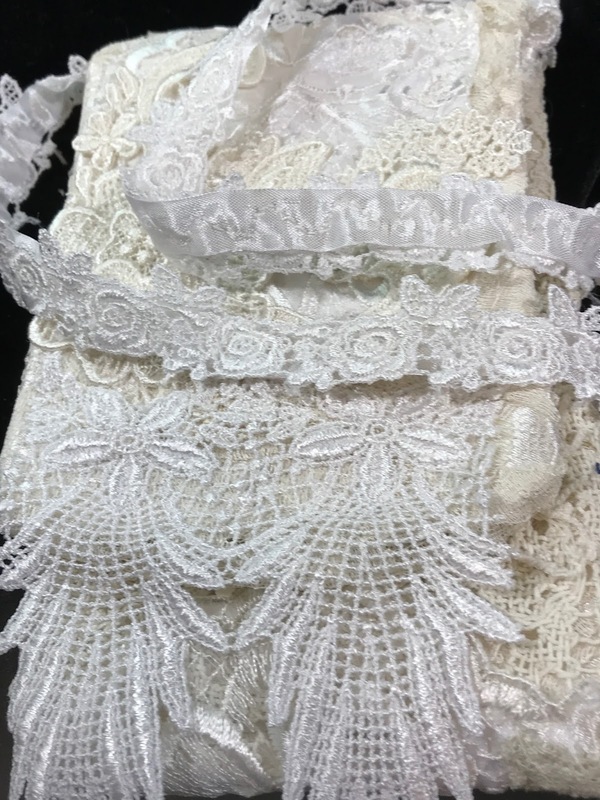 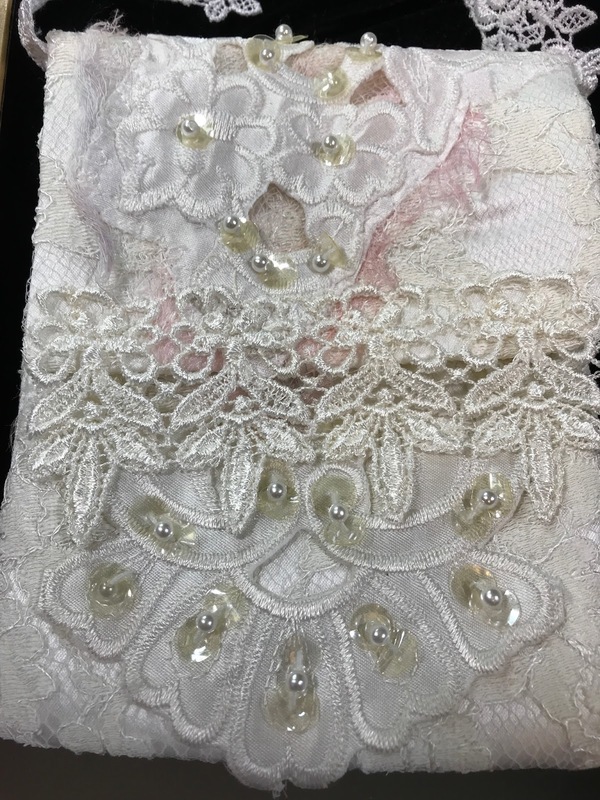 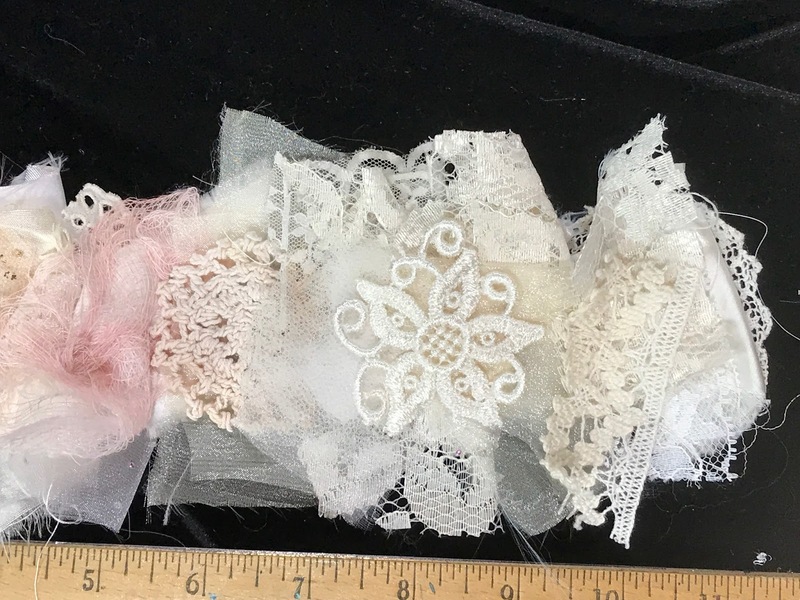 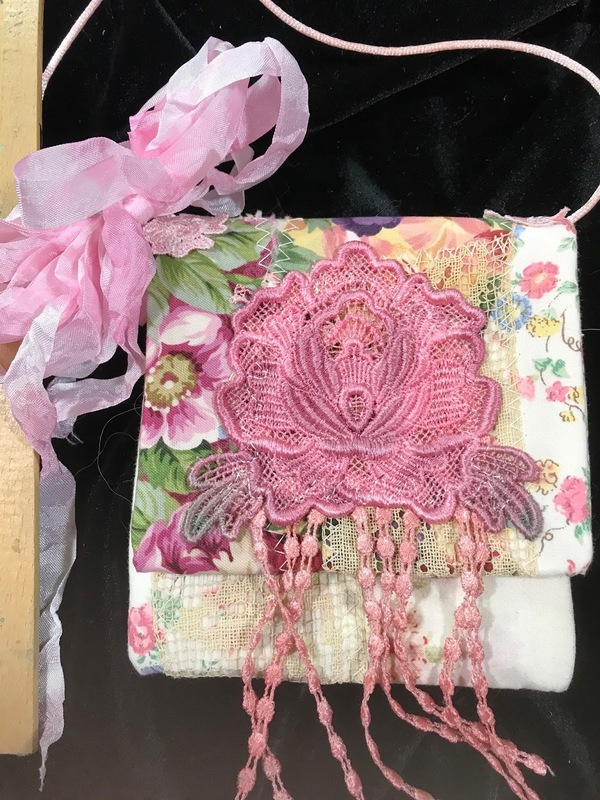 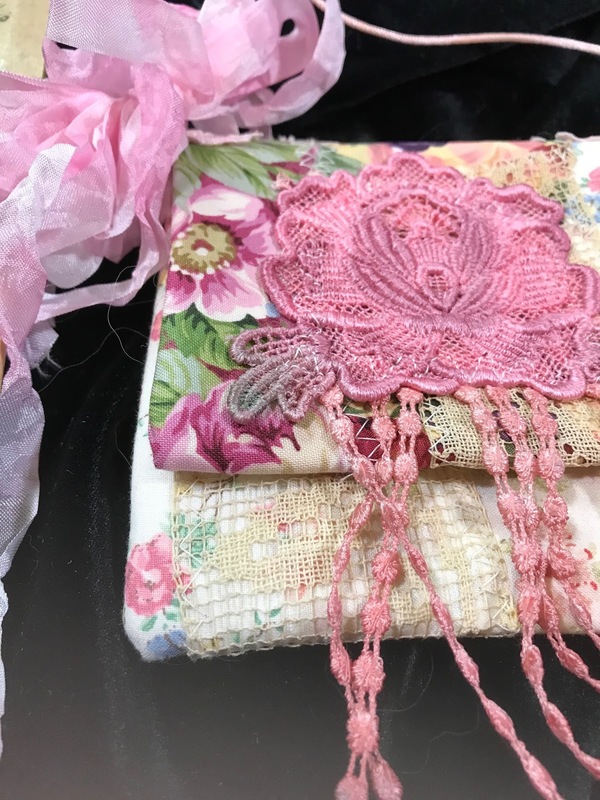 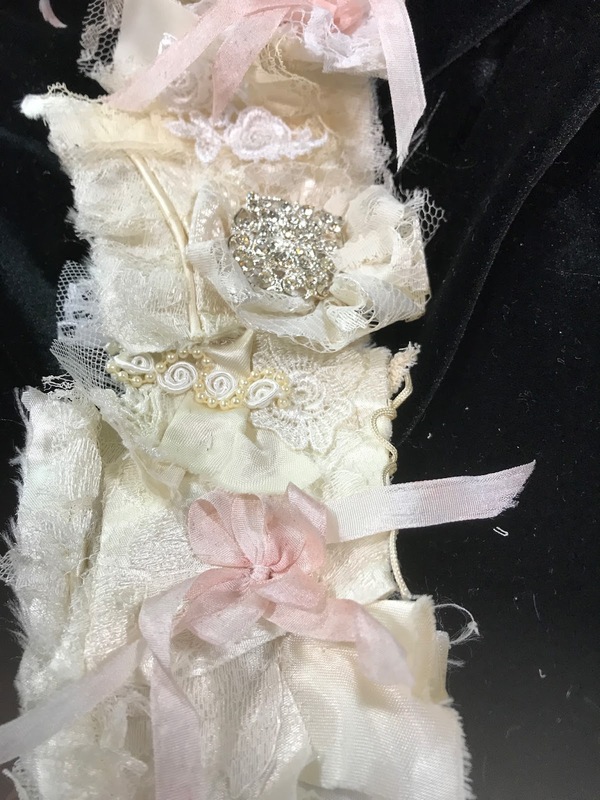 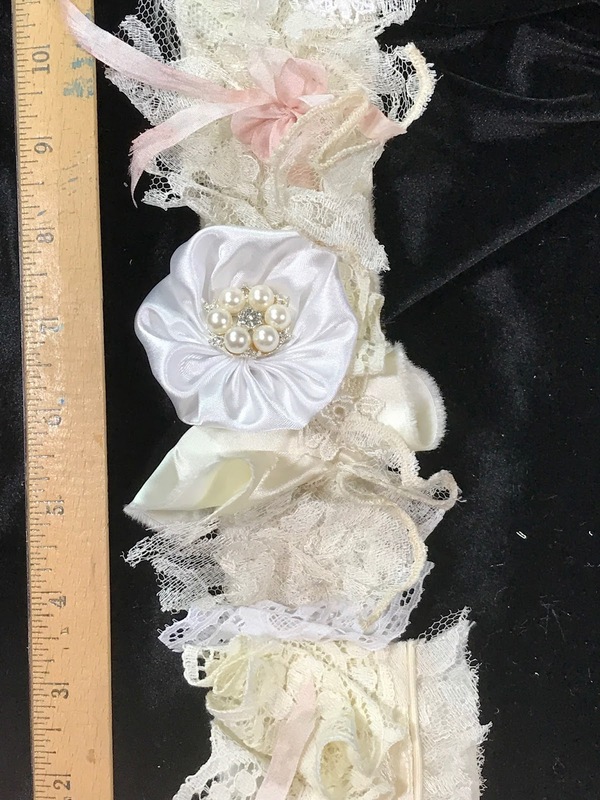 Here is a sweet 'SNIPPET ROLL' beautifully arranged with vintage laces and trims. You can cut this apart and use in your shabby chic projects, journals, junk journals...etc! 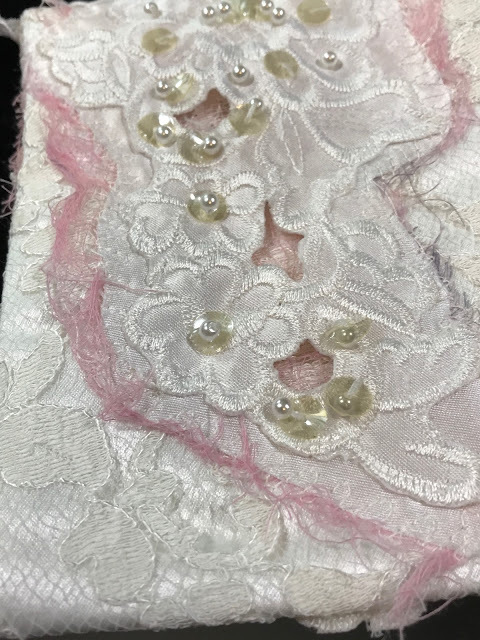 Another snippet roll with more BLING! 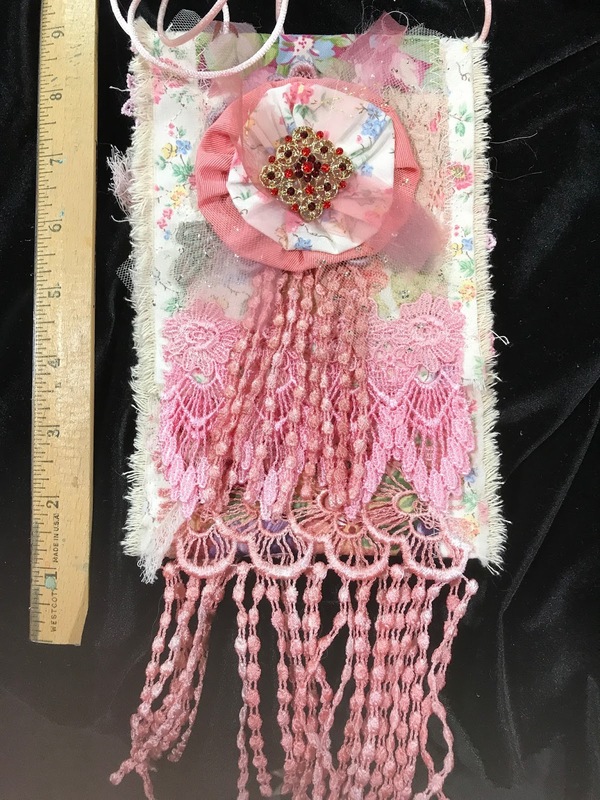 Sweet little gift bag... great for a door knob hanger, or hanging off a dresser pull. 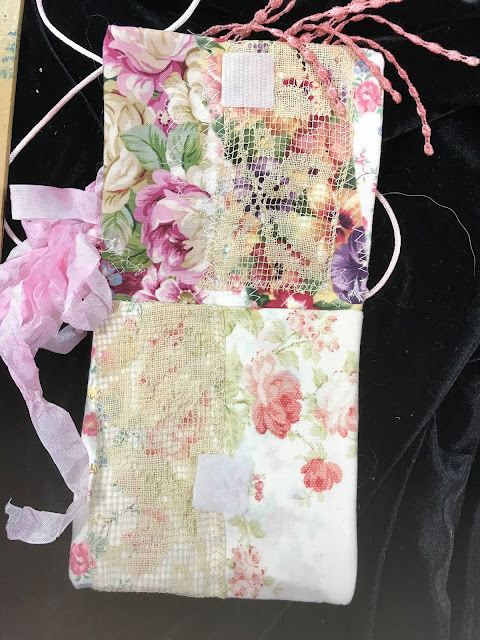 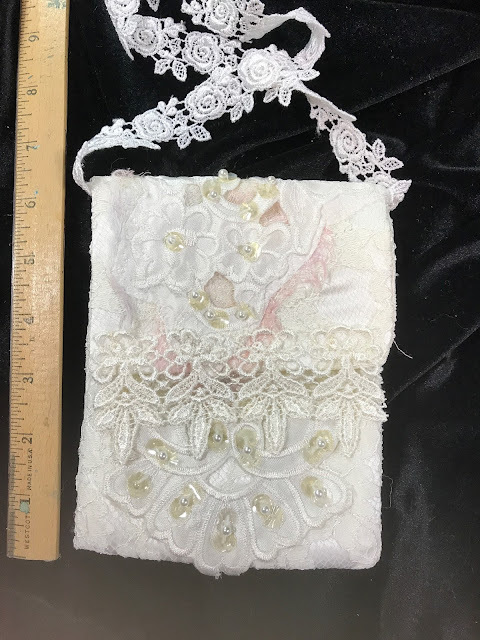 Second gift bag made from vintage wedding dresses, a bit longer than last. 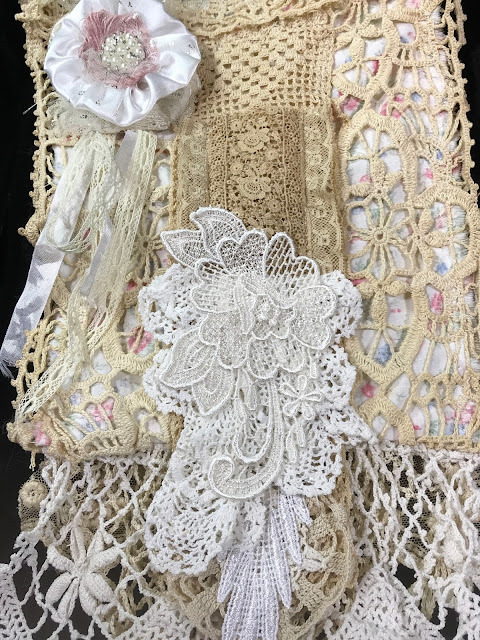 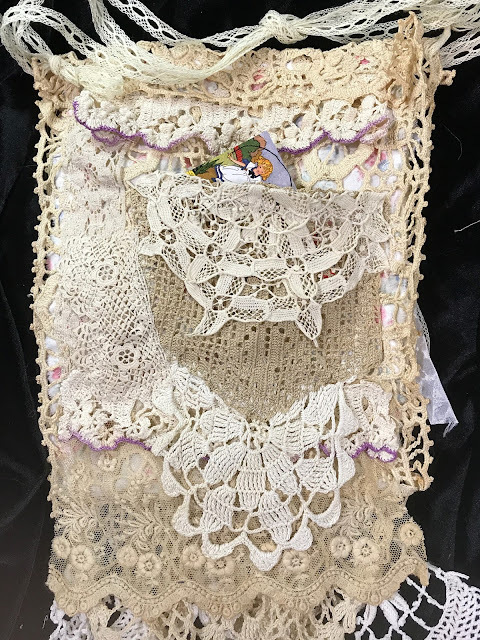 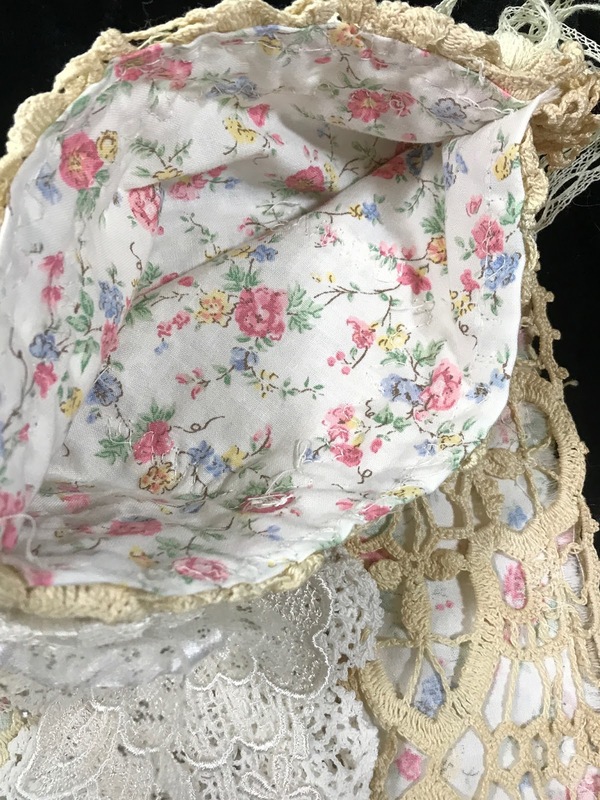 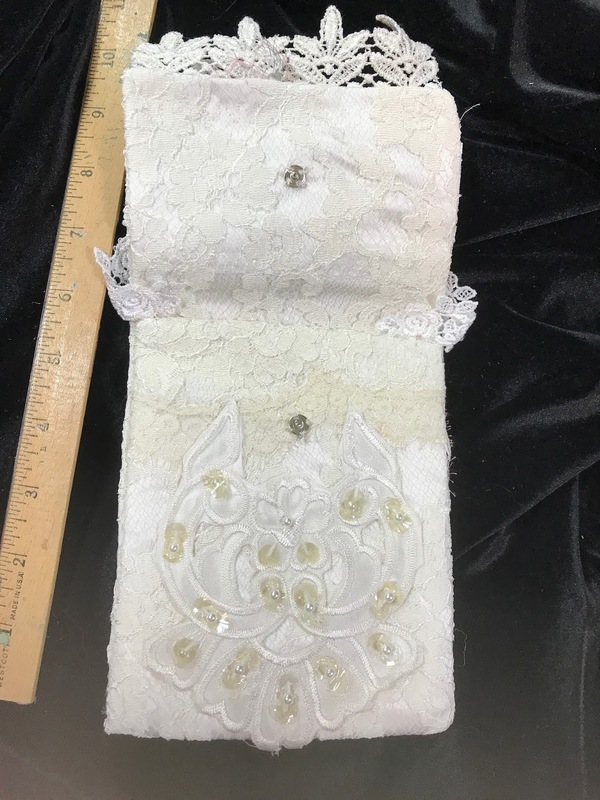 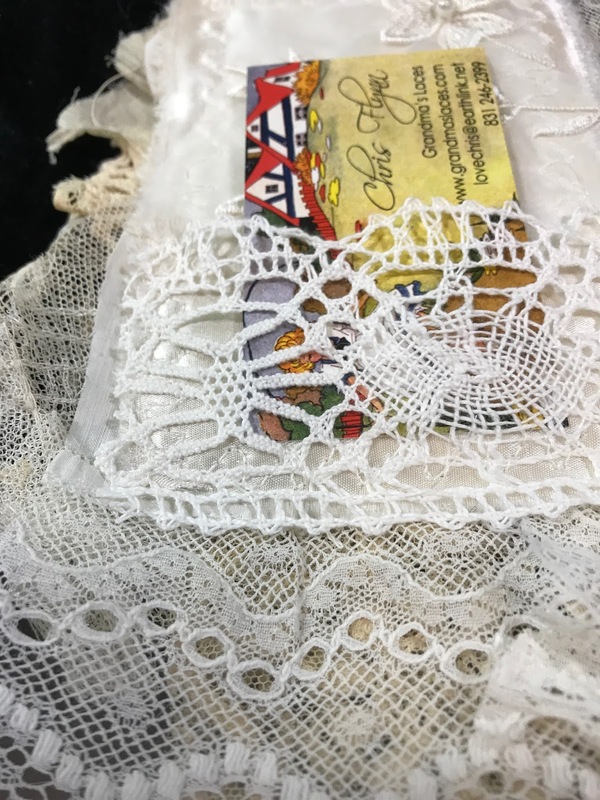 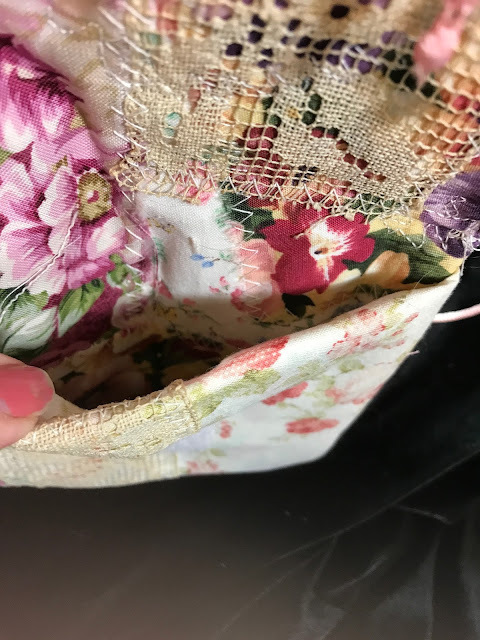 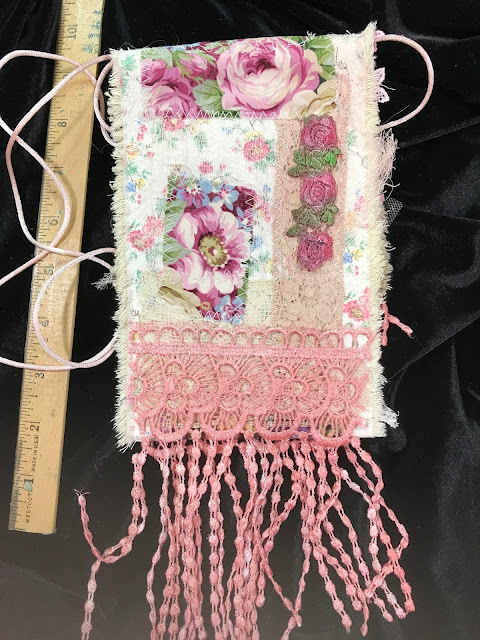 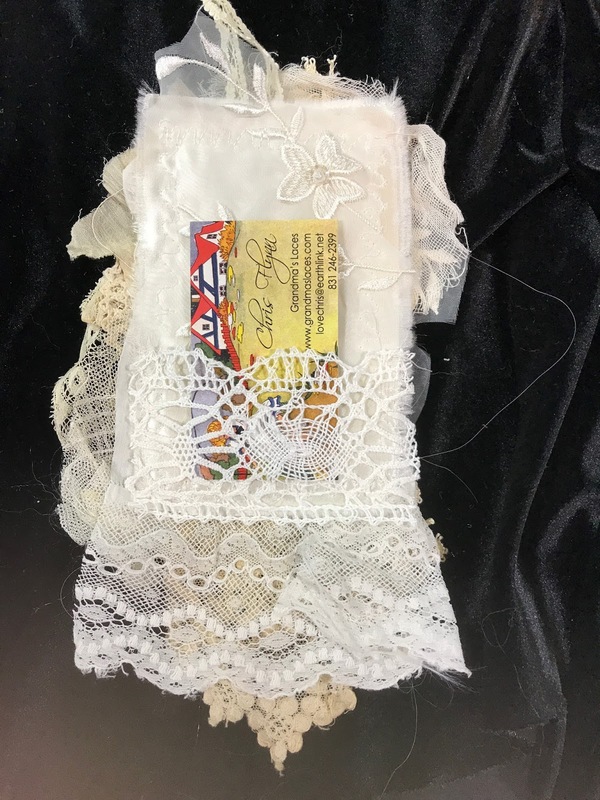 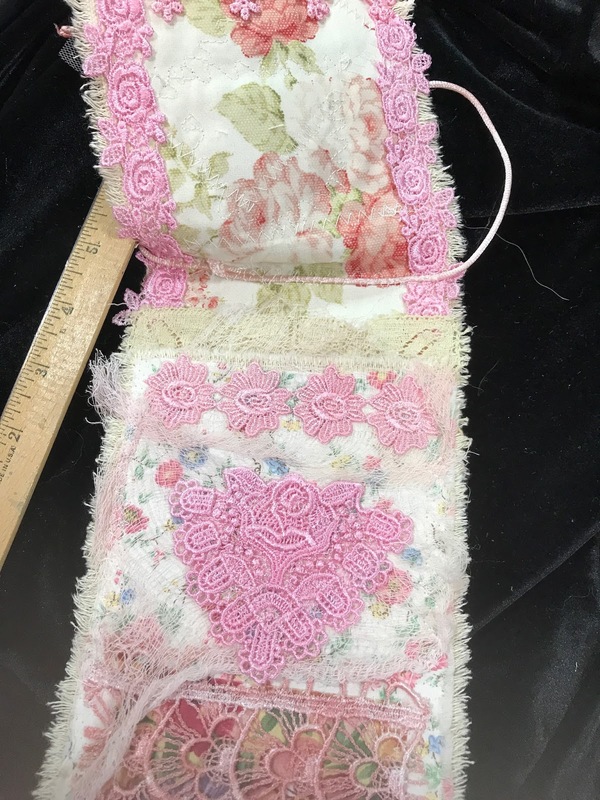 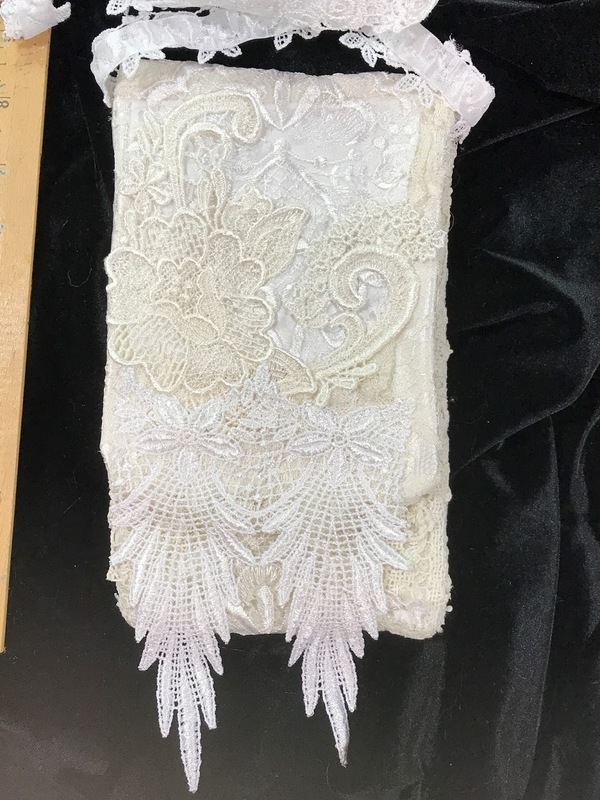 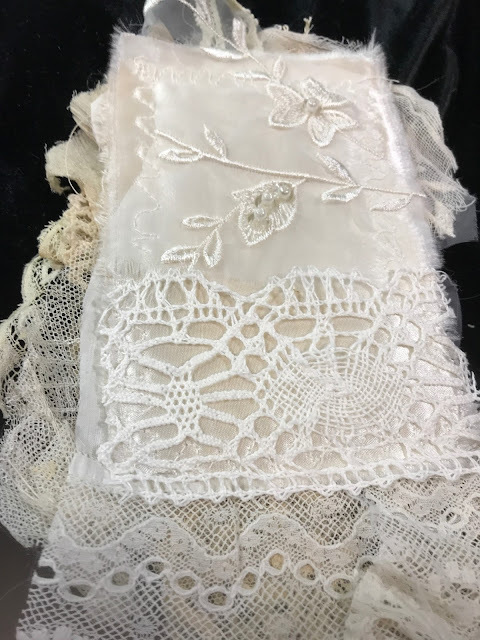 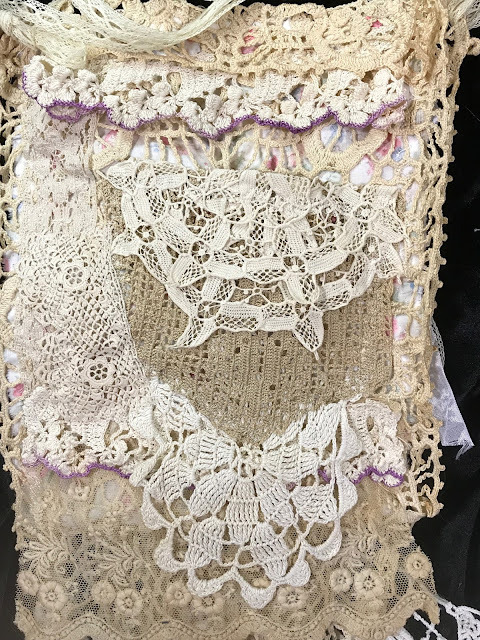 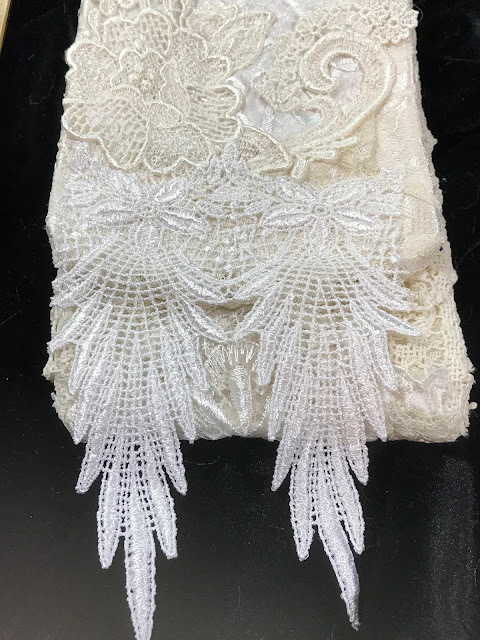 This is a large gift or treasure bag... lots of beautiful vintage laces here.